When I first decided to read “A Glimpse of Heaven”, I thought it was just another “self-help” book. I opened the file and took my requisite quick tour of its pages. 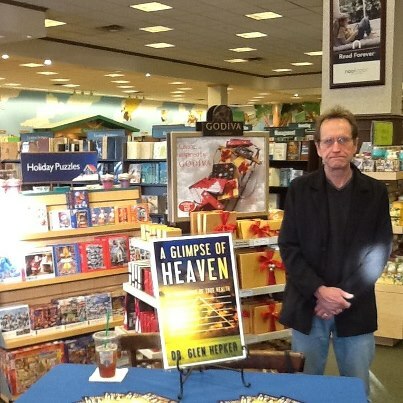 I quickly discovered that ”A Glimpse of Heaven” was not just another self – help book. No, Dr Glen Hepker wrote something different. Something special. The first thing I noticed about the book was its layout. The table of contents describes each chapter. I found that very helpful. Dr. Hepker begins by providing background information, a forward and author’s notes. This was an important step in laying the foundation for the subject matter. 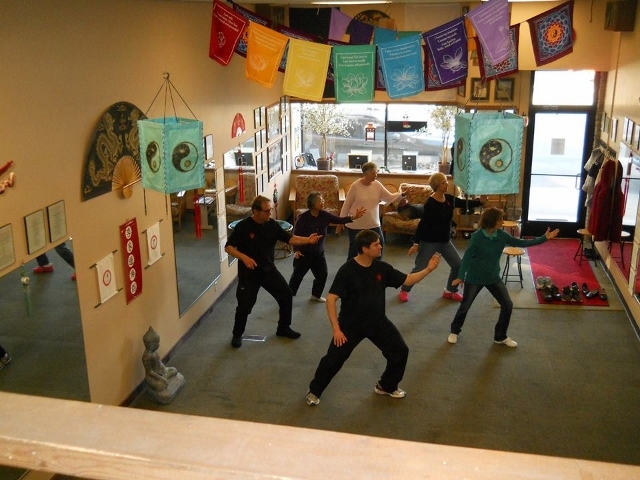 The subject matter being, the “Bright Beautiful School of Thought/True Health philosophy”. This, you will learn is rooted deeply in Chinese philosophy. 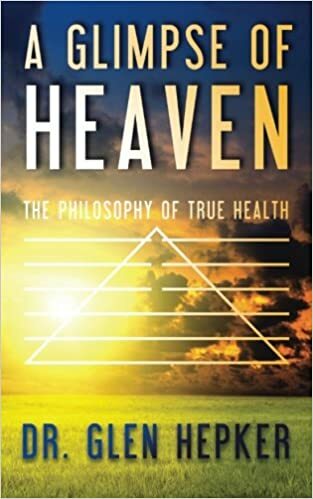 One of the things I appreciated about this book, is that unlike other “self-help books, “A Glimpse of Heaven” shares knowledge and philosophy instead of listing matter-of-factly do’s and don’t, rules, etc. I felt as if I were in the living room with Dr Hepker, and he was simply talking to me. This fresh approach to sharing knowledge made learning easier. The concepts of this book may, to some degree be familiar to you. The Golden Rule for one, and chapter XI, True Faith and the Three Portents. You may not recognize the title, but you will recognize the substance of the chapter. The book is well written and the subject matter expertly presented. The lessons and philosophy clearly work. Dr Hepker is a living example. I have gotten to know Dr Hepker on a social media level, and I can attest to his ardent belief in what he writes. “A Glimpse of Heaven” is a masterful lesson in life, and should be read by everyone. In these tenuous times in the United States and around the world, I think the people of Earth could use a good dose of what Dr Hepker is offering. Questions (from readers of my book or in general): Glen, in your opinion, why has God put us here on Earth? True Appreciation…what is its connection to True Health? Most of us enjoy an awareness and appreciation for what we perceive to be major life-altering miracles: a life or lives being saved in a disaster, wonderful medical breakthroughs, great spiritual or religious events, etc. Certainly, many would agree that the manifestation of these circumstances is miraculous – often beyond measure. After all, that is why we coin them as such: “true miracles.” The primary thesis of True Appreciation herein displays no impetus toward competing with that notion: it simply implies that there are true miracles, by the tens of thousands each day, that most of us choose to ignore. These miracles are no less so – true miracles. According to this theory, awareness and True Appreciation of these miracles, or the lack thereof, is a gauge of True Health. No matter how difficult life is for us, no matter the many ‘thorns in our side’ in our daily lives, how dare we not appreciate the gift of each moment for the miracles that they are? Why do we not feel a deep and abiding rational, emotional, and even spiritual appreciation for each moment, in each moment? It is likely true, that much of the time, each of us is ‘lost within ourselves’ – in our anxiety, in our sadness – not even knowing to, let alone wanting to be, objective and insightful – unwilling to ‘reach out of ourselves,’ our own ‘little bubble,’ our faulty private logic, our unhealthy habits, our addictive behavior. Such issues may be reasons to ignore the miracle of each moment. Albeit, they are not valid excuses…No Matter What. Nothing may be more important than learning to embrace our discomfort as much as our comfort – to substantively face our internal problems so we can mature beyond them. Even the most fundamental things, moments, are profound miracles – not just potential miracles. The ability to sit there and read this is a miracle. The ability to have a conversation with someone is a miracle. The ability to agree to disagree ‘without wanting to kill each other’ is a miracle. An appreciative awareness that we are all in the same boat, is a ‘really big’ miracle. If all of this is true, then perhaps the greatest gift and miracle of all is the ability to love – deep abiding love of others, but most particularly, a truly healthful love of oneself. Is it possible that if we can realize True Love of the self, that we can also realize True Appreciation? By employing genuine effort, can we enjoy a peace of mind in which we can take true responsibility for our own health and wellbeing? Wouldn’t our world, The World, be a much better and different place as such? In realizing meaningful levels of True Appreciation, it is an appropriate step to attempt to do the right thing for the right sake, without need for selfish recognition: Acting Without Acting – taking action based on true and healthful reasons, versus false and unhealthful reasoning or instinct. According to this strategy, the only certain means by which to do this is by Playing the Part of the Perfect Witness: employing a light meditative demeanor in which one has made a self-disciplined effort to learn to clear the mind of thought, e.g., unblemished witnessing versus heavy internal dialogue – heavy pernicious cyclical thinking which is promoting of unhealthful craving/desire. This is True Freedom – the ability to avoid being weighted-down by heavy cyclical or scattered thinking, without opinion, precognition, preprogrammed, or preset patterns of thinking. This practice may allow us the lightness of being in which we can truly appreciate the miracle of the moment, each moment. In ‘connecting-the-healthful-dots’ and fitting all the pieces of this formula together, it is important to realize that, even in times when we are busy taking care of daily responsibilities and it is obviously impractical to be ‘clearing the mind,’ such times/moments can be significantly complemented by the blossoming effect resulting from the healthful peace of mind which can be realized through consistent application of the meditative practices mentioned herein. A clear measure of True Health is having the internal wherewithal to interact with others in a spirit of dignity, decency, goodness, and grace – and find a way to truly mean it, No Matter What. We will be unable to do so unless we are willing to look deeply within ourselves and work diligently in dealing with our internal difficulties. Our willingness or unwillingness to do so is, once again, a measure of True Health: It is reflected in our ability or inability to look within ourselves with less and less fear. We can choose to improve and evolve, or we can choose to ignore our internal difficulties and suffer accordingly. By nurturing, realizing a truly healthful self-image – by displaying true forgiveness towards oneself for historical misdeeds and faulty internal logic – by learning to heal one’s festering emotional sores, this then, in itself, if it is made to happen more and more often in more and more moments, is truly a miracle to be appreciated: It is realization of True Health if we enjoy the wherewithal to choose to appreciate, to ‘pay attention’ to, the miracle and blessing of each moment.